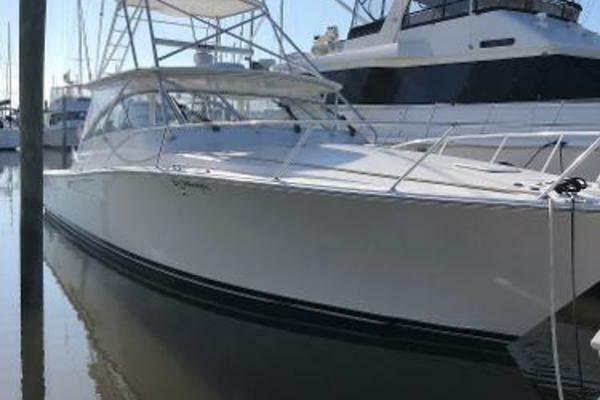 Double Trouble is a one-of-a-kind Viking 43 that was extensive refit from 2011 to 2014. Design issues uncovered over the life of this model have been addressed, as well as other custom features added. As examples; the rear deck hatches have been reinforced so they don’t flex like they did from the factory, and a rain gutter was added around the cockpit engine room access to stop water from entering the engine room around the hatch. This level of detail was applied throughout the refit, which was overseen by a marine surveyor. The Detroit 6v92’s have less than 50 hours since a full rebuild. They start and run flawlessly without hesitation or smoke.